My Lent last year was well planned. My friend Bradley and I had decided to practice the Ignatian examen, to spend a few minutes at the end of each day taking prayerful inventory. For centuries, St. Ignatius and his followers, the Jesuits, have taught this method of taking stock of events in the day to give thanks for and events that need extra prayer. Brad and I spent Lent sending emails back and forth, updating one another on the practice. This year Lent snuck up on us. We had been talking a bit over email and Skype but hadn’t come up with a decision on whether to do the examen again together. I sent Bradley a quick message about another prayer method on the second day of Lent, wondering if we would be companions in Lenten discipline again. 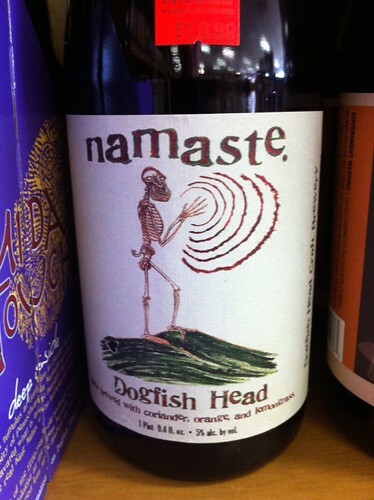 Not a Belgian Double-Bock, but another spiritual take on Beer. But as I was preparing a sermon for the Spanish-speaking congregation at my Church this Sunday, it struck me that sometimes we choose our discipline, and sometimes it chooses us. Brad and I never made a concrete decision about our Lenten walk this year. He didn’t respond to my email. I’m not upset. Brad and his wife Rachael were in Tokyo last week. They are teachers there at an international school, and their lives have been utterly upended at the start of Lent. They didn’t choose this discipline, but it has brought them back to what is important. Brad and I will definitely be praying and checking in throughout this season. Through this I have come to believe that choosing our disciplines, when we have the chance, helps prepare us to walk with God and with one another when disciplines choose us.